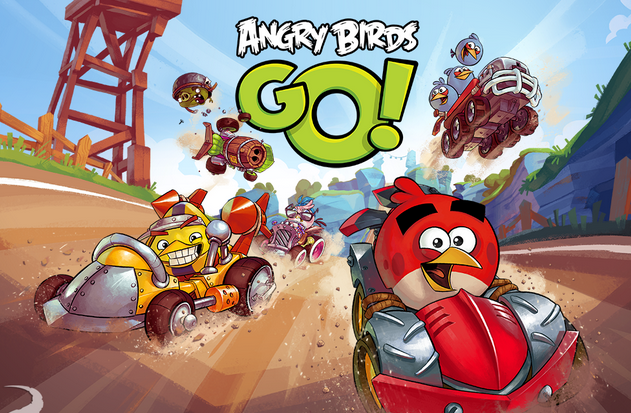 Rovio has released its new Angry Birds Go! Racing game for all smartphone platforms. Rovio is the company which popular for Angry Birds game and its related games such as Angry Birds seasons, Angry Birds Rio and Angry Birds Space. Angry Birds Go! 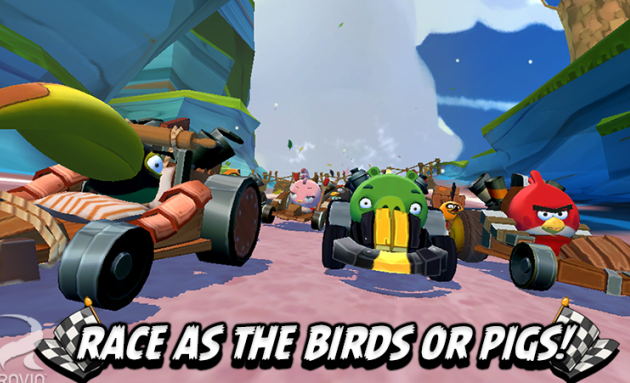 is the first 3D racing game based on the Angry Birds with whole new experience. Angry Birds Go has many racing tracks with many challenges and you can play as Birds or Pigs, just pick your favorite character from Red, Chuck, Stella, King Pig, Moustache Pig and more. The game is built with amazing graphics and it has different play modes including Race, Fruit Splat, Versus mode, Champion chase and etc. First 3D Angry Birds World – See the birds and pigs from every angle as Piggy Island comes alive in this rich and colorful 3D world. Race as Birds or Pigs - You can race as Red, Chuck, Terence, Stella, King Pig, Moustache Pig and many other favorite characters. Many Race Tracks - Stunt roads, air courses and off-road races with big and unexpected challenges. Special Powers – Each character has unique special characters to smash your opponents off the road and take that winning position. Many Game Modes – Test your playing skills with many game modes such as Race, Time Boom, Fruit Splat, Champion Chase and Mega Match! Upgrade Racing – There are many types of cars available for purchase and you can upgrade the game by earning points. The game is now available for Andorid,iOS, Windows Phone and Blackberry and you can download it for free. The game will be definitely popular and interesting racing game for Angry Birds lovers.